The Star cricket is an event that sees our favourite film stars face off on the cricket field. The last year's star cricket league had quite some buzz and good audiences. According to the latest update, 2018’s Star Cricket tourney will happen on 6th January itself in Malaysia. All the happening young and senior Tamil stars will be participating in the tournament. Nadigar Sangam General Secretary and actor Vishal announced the news during the General Body meeting in Chennai. 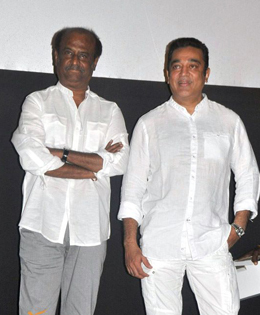 He also confirms several stars apart from Rajini and Kamal will be participated in Cricket Star Cricket tourney. Vishal said that apart from cricket, various other events will also be conducted to raise funds. Karthi, the Treasurer of the Nadigar Sangam had said that a Star Night is being planned in Malaysia which will be replete with cultural events such as dance and music by well-known film stars. He added that the MGR centenary year will be celebrated by the Nadigar Sangam in a grand manner as well. On the work front Rajinikanth is busy in his upcoming Sci-fi drama ‘2.0’, directed by Shankar and produced by Lyca Productions in which Akshay Kumar is playing alien and Amy Jackson will be seen playing female lead. He is also busy in Pa Ranjith’s Kaala. Kamal Hassan is busy in his upcoming directorial and production venture ‘Sabash Naidu’ and waiting for the release of Vishwaroopam 2.